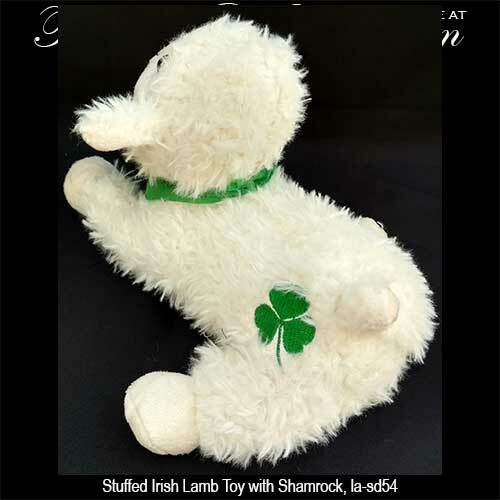 This soft Irish lamb toy is ready to cuddle and it features an embroidered green shamrock along with a green Ireland scarf. 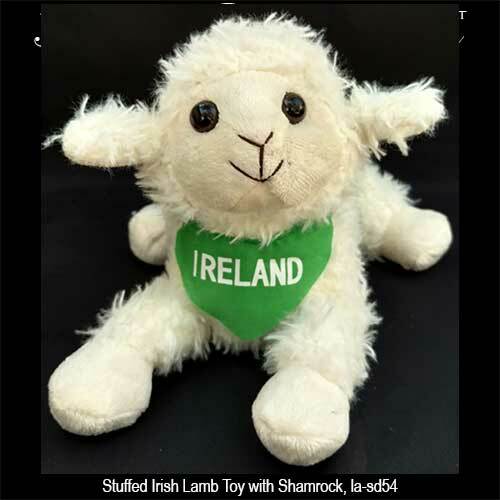 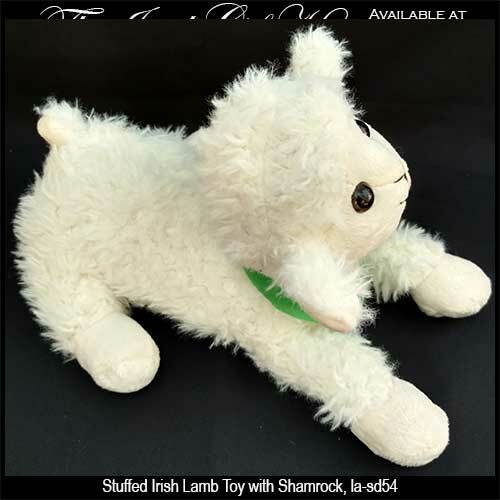 The plush Irish lamb measures 10" long and it is complete with a shamrock history card that is complements of The Irish Gift House. 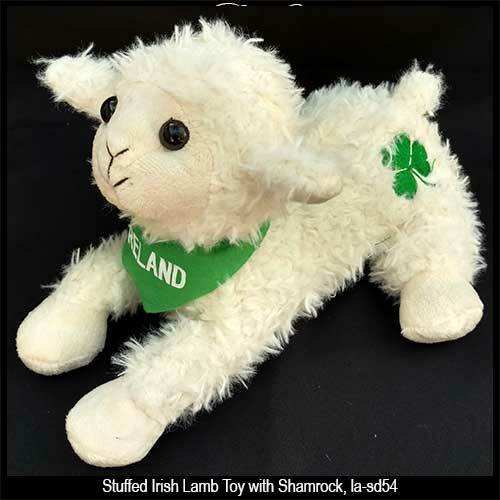 The lamb doll is made in Ireland by Liffey Artefacts; it is not recommended for children under the age of 3 years old.